I shared my views on as many as eight major stock broker’s of India. The one’s that I use may not be the best ones and so I thought let us have a poll for blog readers. Just vote for your preferred stock broker now. 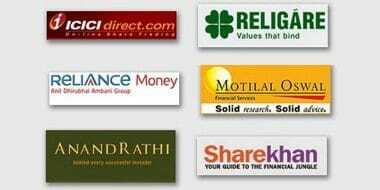 Remember your single click can help lot of people in selecting the right stock broking house. I did share my views and experience with Religare, AnandRathi, Reliance Money, Indiabulls, HDFC Securities, Motilal Oswal, ICICIDirect and today I will share my views and experiences with ShareKhan. In the series of post on Stock Broker’s Review Let me review ICICIDirect.com’s service and share my views and experience about them. I have an Offline account with Motilal Oswal Securities Limited (MOSL) and this review is from an offline account point of view. I personally do not have an account with HDFC Securities but one of my friend have it and they have a very bad brokerage plans which never encouraged me to open an account with them. 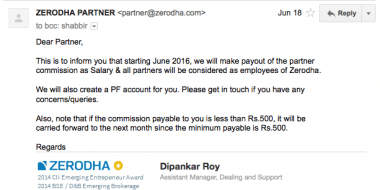 There is hardly anything positive I have found with AnandRathi and this is yet another stock broker we should avoid. If you have more to share do so in comments. I have an account with Religare Securities Limited and today I will share all my experiences with them, positives and negatives. When it comes to making money with equity one of the important aspect is your stock broker’s service at your disposal and so this time I have decide to review all the stock broking house that I have used in the past couple of years.